Since I am finding it not so easy I figured I would share my finds along the way so the next person out there looking for answers may find an occasional blog from me helpful. Although I have sponsored posts from time to time I am in no way being paid to mention any product I use in my blogs unless I clearly state so in the blog. It will have sponsored and ad used whenever it is a product I've been sent to test for free or paid to use. Today's blog is not sponsored. 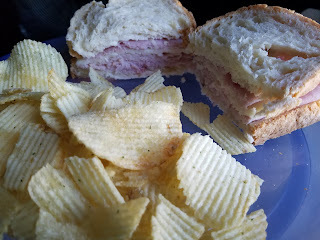 Today I am going to cover a delicious bread I used for sandwiches, chips, a great flour I found to fry some chicken in, tater tots and some corn tortillas used for Pika Tacos (Spaghetti Tacos.. more on that later). 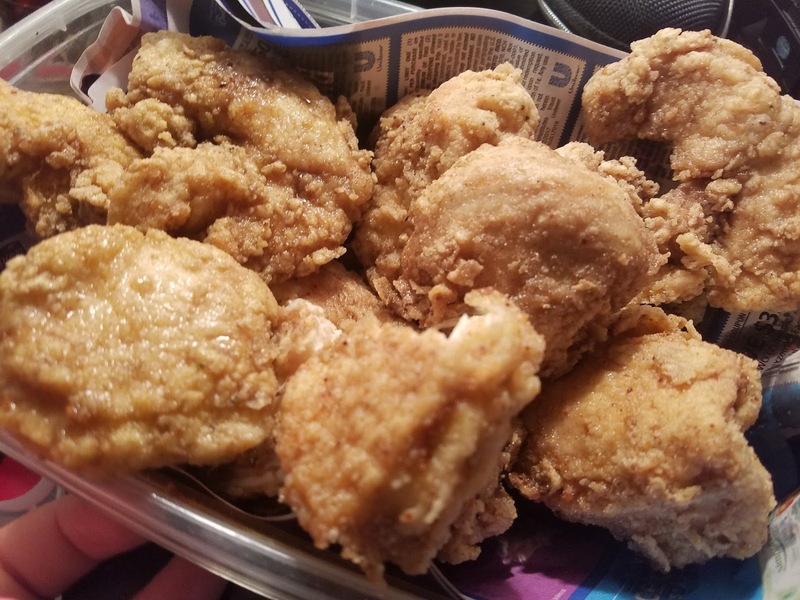 Next up is fried chicken with a Pillsbury All Purpose Flour that is gluten free. 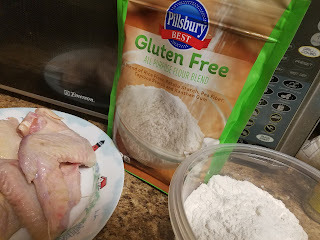 Hubby has reduced his gluten intake to help me on this journey so we had fried chicken wings and tenders using this flour. While there was a difference in taste it is actually really good and I found myself really enjoying dinner the other night. I fried everything in olive oil which can cause more smoke so make sure to open any windows and doors to avoid getting a smoky house. It's much healthier though and made me feel pretty good about the meal. I paired this with OreIda Tator Tots (Everything I have found of theirs to be gluten free so far) and it made a delicious dinner. Lastly I call these Pika Tacos as my friend Pika taught me how to make these at her house one Sunday after having spaghetti the night before and it is still one of my favorite ways to use leftover spaghetti sauce. 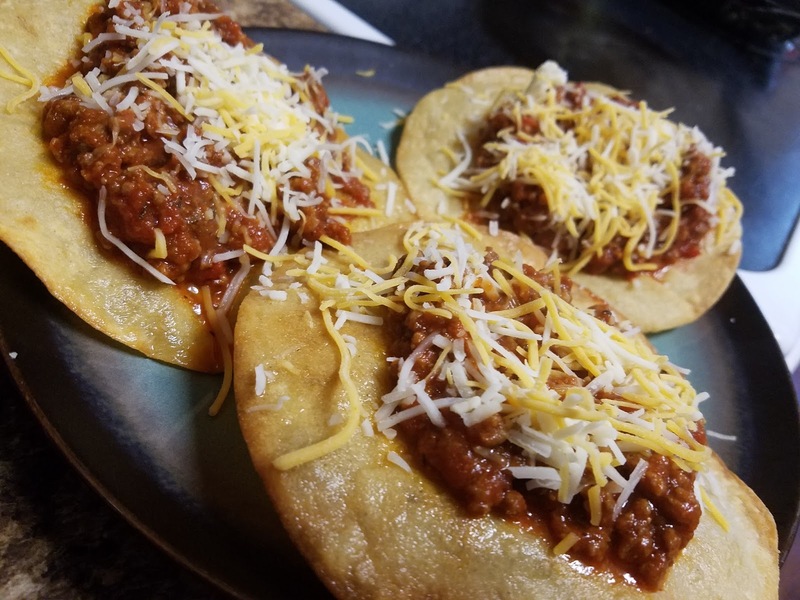 Sometimes the kids and I just skip the spaghetti dinner night and go straight to making Pika Tacos for dinner. You fry up a corn tortilla in oil on the stovetop to just brown each side. Then you op the shell with a little bit of sauce and sprinkle on some shredded cheese and it is a delicious dinner! I found some gluten free corn shells and made some in olive oil on the stove top and they were perfect! Ok enough for now.. I promise to make a blog about some healthier meals in the near future but this is all new to me and as I go I love taking you all on the journey with me. Just keep in mind that I find drinking water above all the most important thing to do. Cleansing the body continually helps so much especially when dealing with major health issues.